I'm really surprised at this... but this is the first time Pinnacle has been made for NBA basketball. With such a long tradition in all the other sports, you would have thought Pinnacle would have somehow gotten into the basketball scene along the way. I guess not! Let's take a look and see how Pinnacle works on the hardwood. Panini has chosen to stick with the same design they used for Pinnacle baseball, which was released last year, so it is a bit familiar. The cards have black as a primary color, which goes with the original Pinnacle look. I am used to seeing card with a brighter color scheme, so these cards are a bit different in that regard. 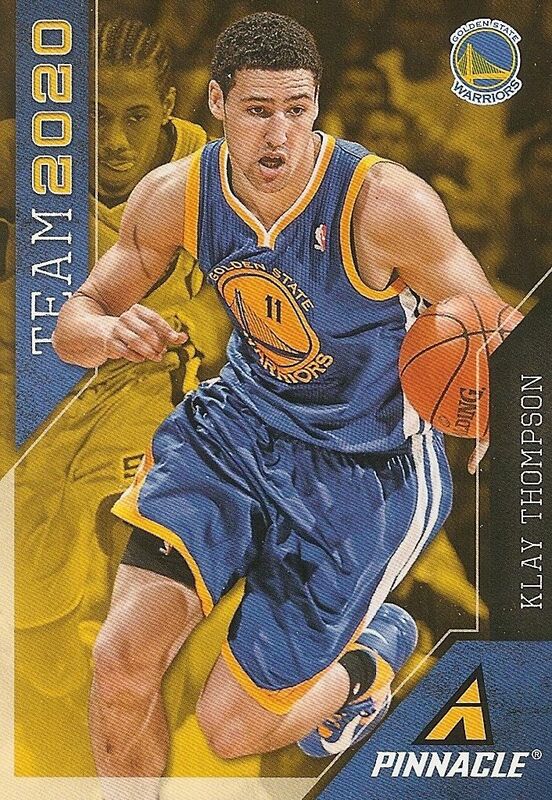 The base cards look clean and the images of the players are nice. I have found that the photos used are a bit more cropped in than in the baseball release. This really helps the player stand out on the card. I can't say that the base cards are that exciting, but they are definitely serviceable - appropriate for a card at its price-point. The back of the base cards are also all black. The design layout is pretty straight forward and simple to navigate. I wouldn't say that these backs are too interesting, they just get the job done. Most collectors will find the paragraph about the player the most interesting part of the back. The back only has one line of stats that either cover the previous season, or a career total in terms of retired players. 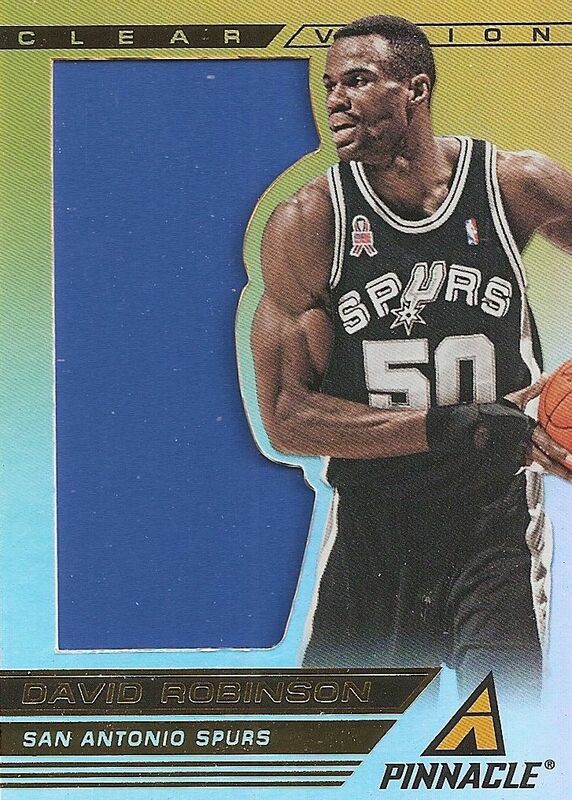 The rookie card design is exactly the same as the base card with just a rookie card logo added in the upper right hand corner. 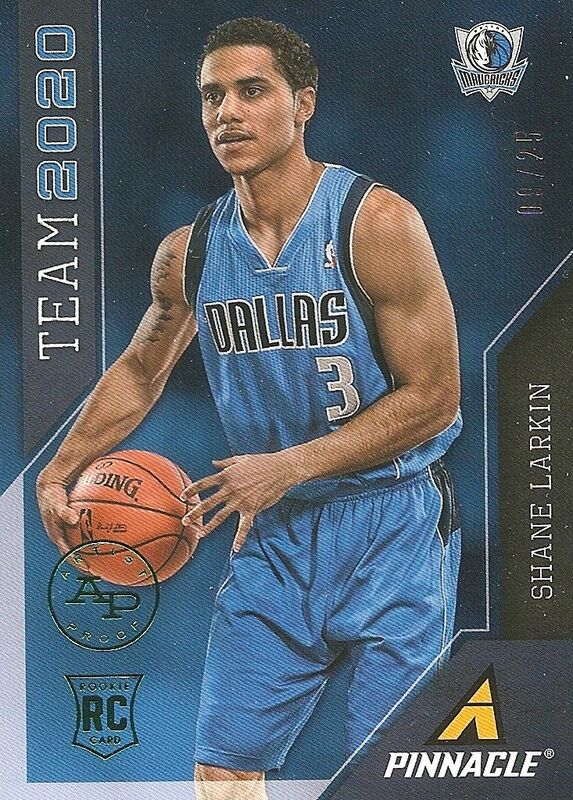 The rookie cards are plentiful in the set and do not feature any special numbering or extra attributes. 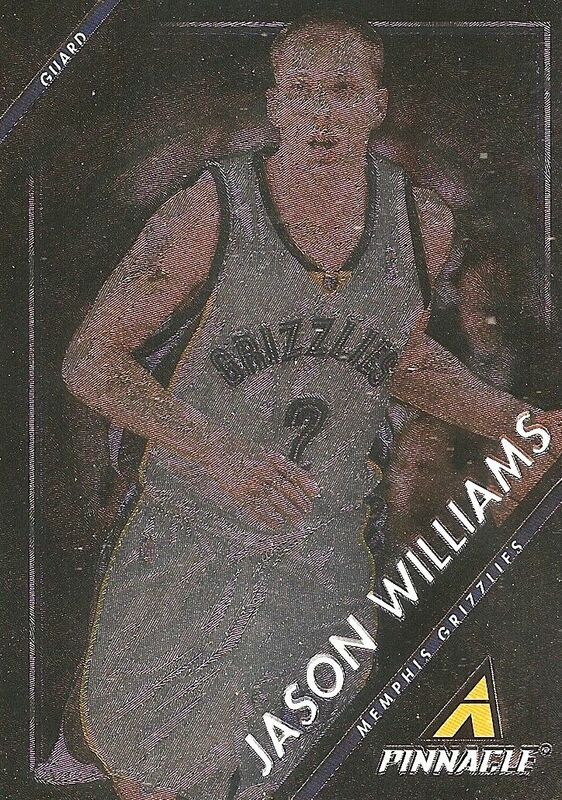 These rookie cards will be some of the easiest and most affordable rookie cards for collectors to find - they might appeal to younger collectors who may not afford the autographed or serial numbered rookie cards found in other NBA products. A hobby box of Pinnacle comes with ten jumbo sized packs containing thirty cards each. These packs are definitely bricks! 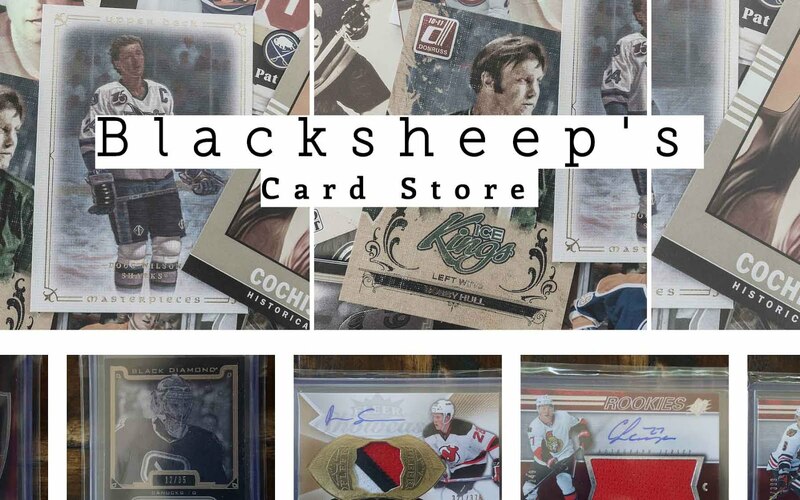 Each pack is loaded with a large amount of base cards and inserts. My box came with two autographed cards and one memorabilia card. Panini has definitely gone to town with insert cards in this release. 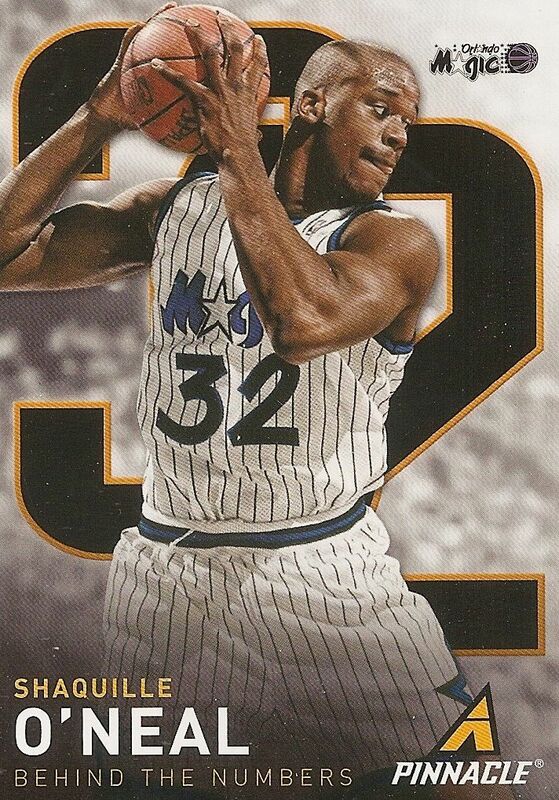 The Shaq insert above is one of my favorites though. I am a big fan of large photographs, and this certainly is a good example of that. These Behind the Numbers cards don't just have nice photos and graphics though - they actually have some very interesting information regarding the player's number on the back. It's a unique concept that you just don't get in every card release! The Awaiting the Call cards showcase players that could potentially be future Hall of Famers, thus they are waiting for the call... from the HoF. I can't say I like the look of these cards too much... they are just uninteresting to look at. 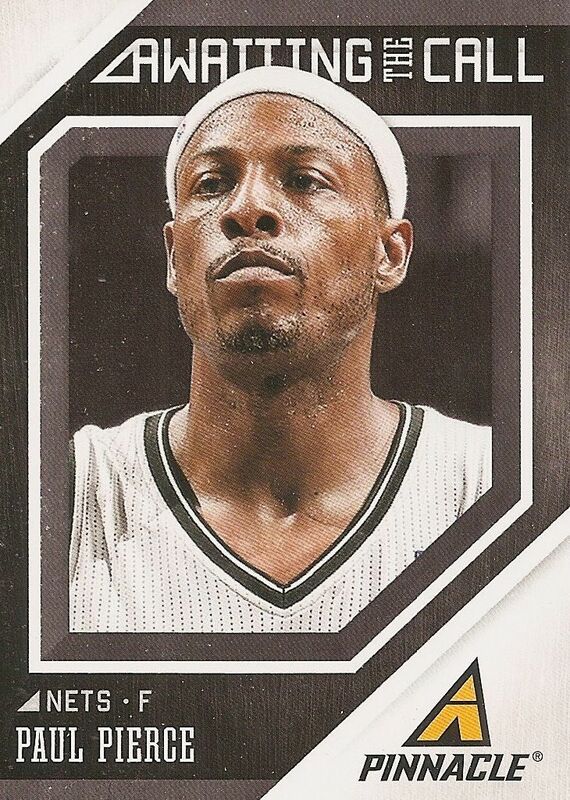 This card of Paul Pierce is especially one note as his jersey colors match too closely with the bordering colors. Team2020 cards are all about the NBA's youngest talent. 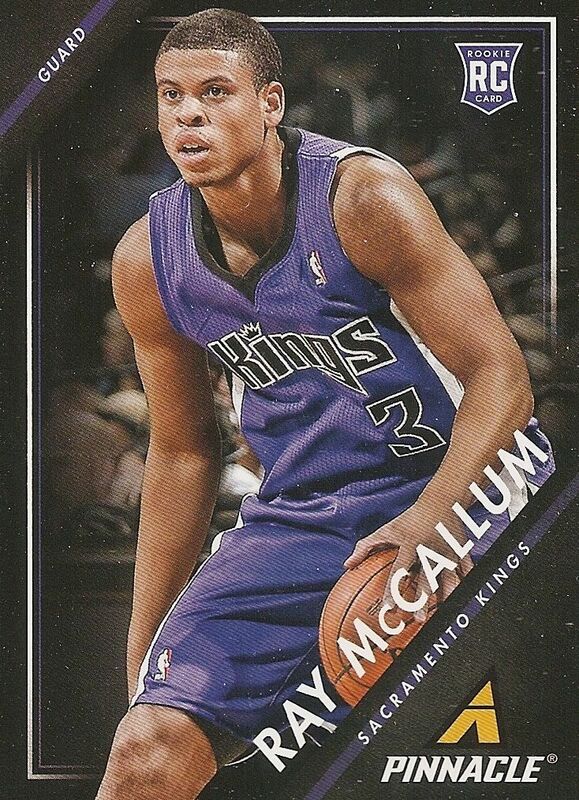 These inserts are a good way to add more cards of young stars into the set. The team's colors are used to good effect on these cards, and give the card a unique dynamic look. If you want to know who were the NBA's most prolific scorers, look to the Scoring Kings insert set. 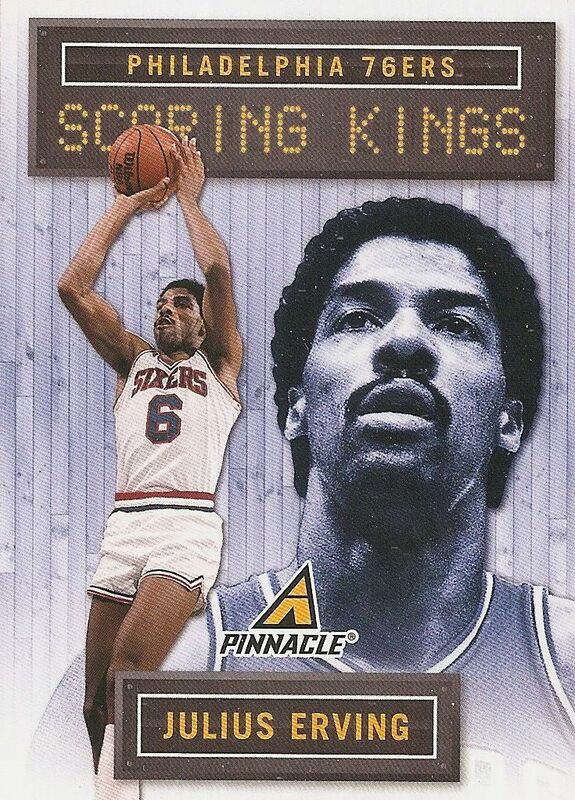 These cards have an older school look to them with the Scoring Kings logo in a light graphic. It's always nice to pull some retired legends, and in my box I got Dr. J and Alex English. 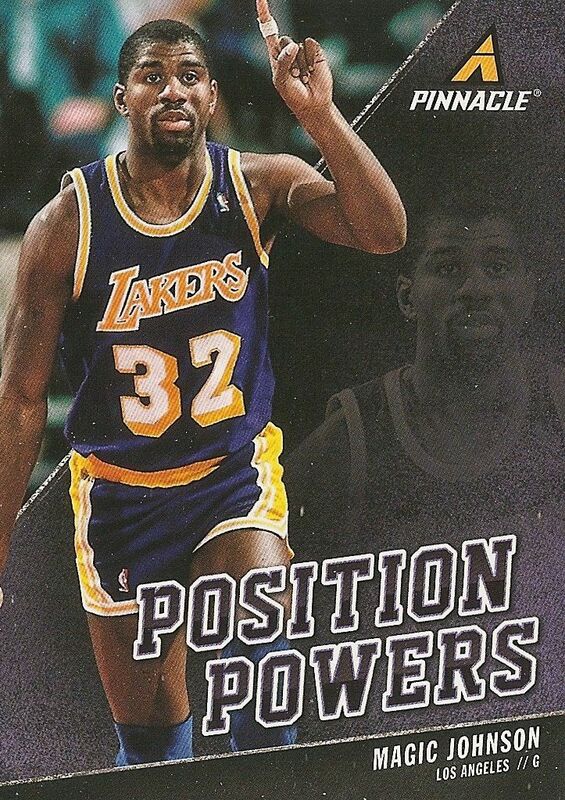 Position Powers cards features the very best players to play their positions. 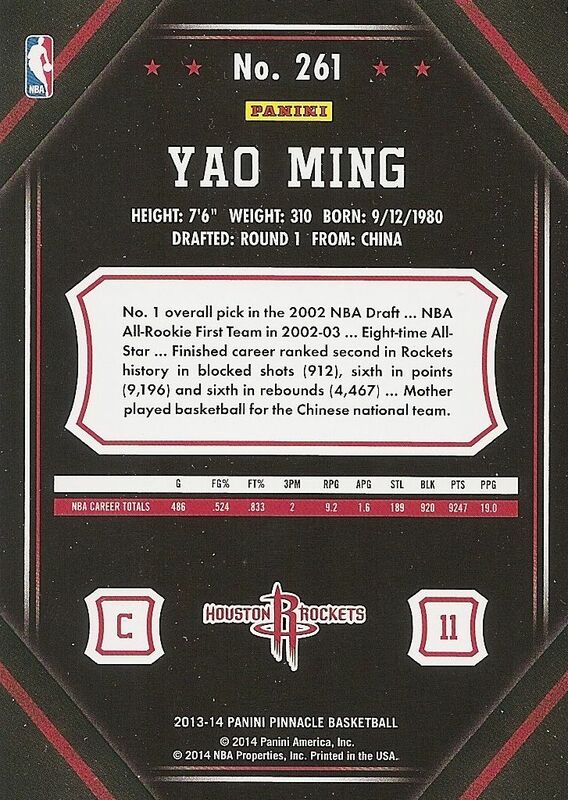 The cards, like many others in this set, take a sampling from the entire history of the NBA. The photography chosen for this set is particularly nice - I really like this photo of Magic shown above. This and the following few cards all feature Panini's Nufex technology. The cards look really great in person, but the scans of them are terrible. I apologize for that. Hopefully I'll find a better way to show them on the site at a later date. 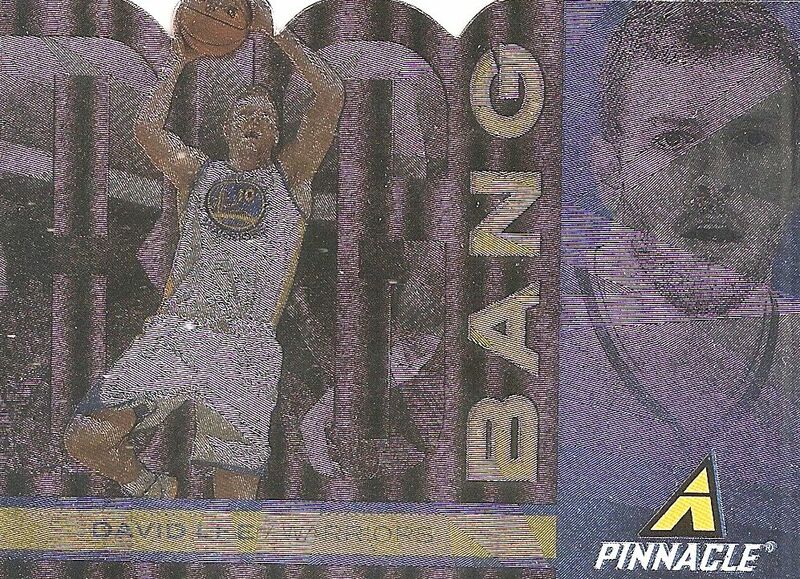 The David Lee card above is from the Big Bang insert set. This die-cut version is numbered to 99, but there are also unnumbered standard non-die-cut versions of these cards as well. 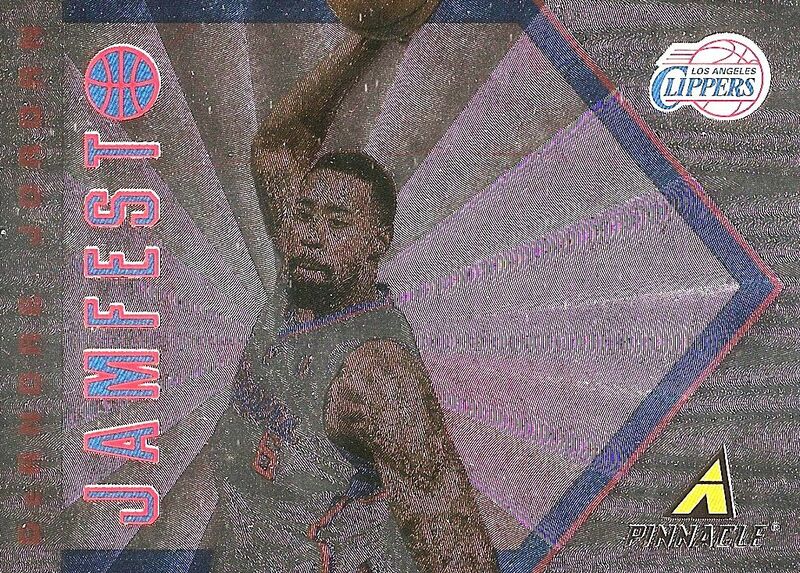 The Jamfest insert set is all about dunks. 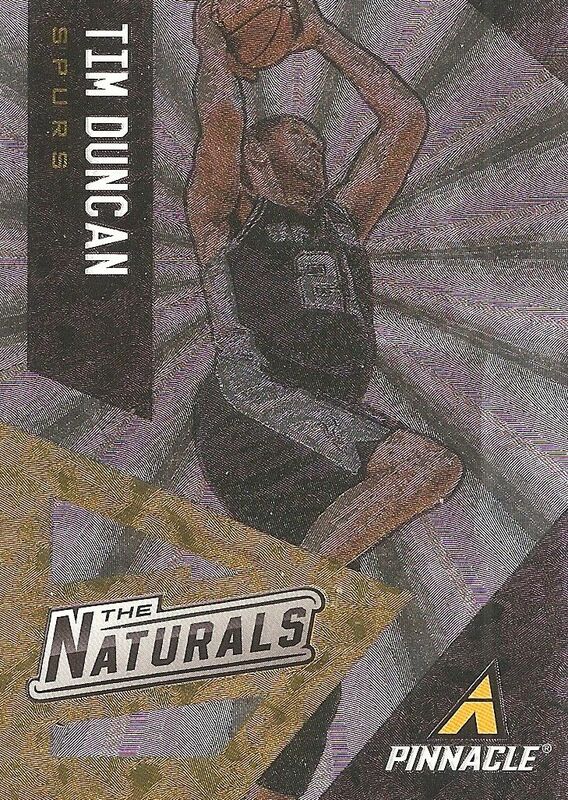 You're going to find the NBA's top dunking stars (both old and new) in this set. 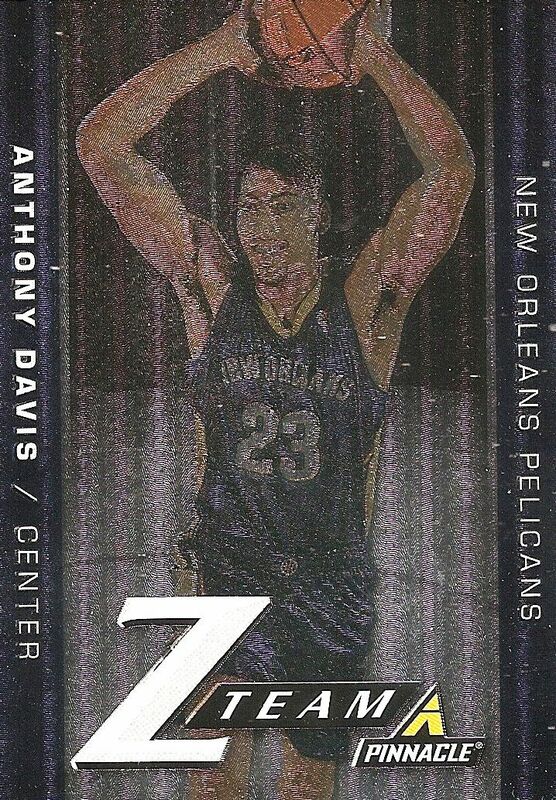 This set features a burst look to the foil that really centers your eye on the player. Z-Team cards are a blast from the past. I remember them coming out of Zenith releases in the 90's. Panini is definitely using some nostalgia to entice older collectors to these products. 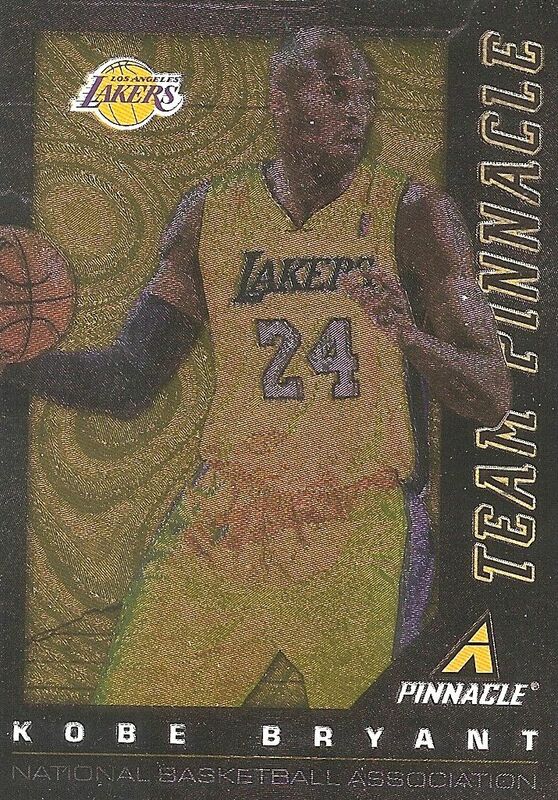 Like the Z-Team cards, Team Pinnacle cards were also all the rage in the 90's. These cards are double-sided cards. Kevin Durant is on the back of this Kobe Bryant card. It was an awesome thing to pull a Team Pinnacle card way back when. The cards here are still nice, but they don't provide the thrill that they used to. The Naturals is a good looking Nufex insert that again features the burst effect. This insert set is one of my favorites because it has an almost comic book like feel to it. Museum Collection cards are parallels of the regular set. When I was a kid I so desperately wanted to collect the entire set in Museum form. Collectors will find quite a bit of these parallels in their boxes. I wonder if there will be any collectors out there who put this set together. It would look really nice! Artist Proof cards also parallels the regular base set. Though these cards were harder to find and worth more, I didn't like how the only thing different about an Artist Proof card was the little foil designator. When they were new, Artist Proof cards were pretty tough finds... now... not so much. All of the insert sets can be found in several tiers of rarity. Here's a green foil parallel card of a Team2020 card. This one's numbered to 25. 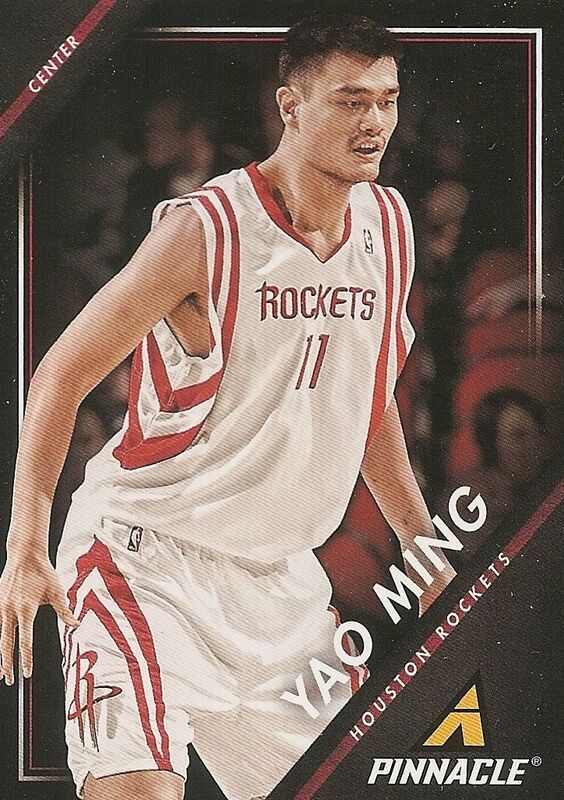 Many of the cards have numberings all the way down to one. Clear Vision cards feature a piece of acetate embedded in the card. I'm not exactly sure what the point of it is, but it does look kind of cool. This card type was offered in Pinnacle baseball too, and the different rarities of these cards correspond to different segments of a game. This is a 1st Quarter card with no numbering. 2nd Quarter cards are numbered to 36, and so on until you get to Overtime, which are numbered to 5. The standard memorabilia card are these performers jerseys. Yes, these are just jersey cards, but at least the design does look quite nice. I don't think there will be a huge demand for these, but I'm sure collectors who pull them out will enjoy them. Prime versions with limited numbering can also be found. The Autographs set is one set that I am not too fond of. I find the cards too stark and plain. The designers may have been going for something classy or bold with the black and white photograph, but all the other elements (especially the sticker) drag it down. The same photo with a better design could have saved these cards. Now these autographs I like! The Pinnacle of Success Signature set is done on acetate. These cards are fun to look at and stand out from a crowd. 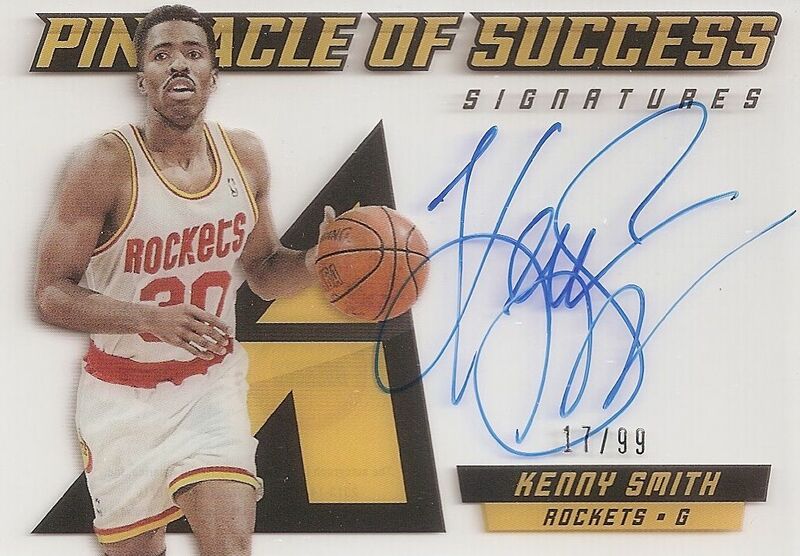 I really like how Smith took up so much space with his autograph on this card. 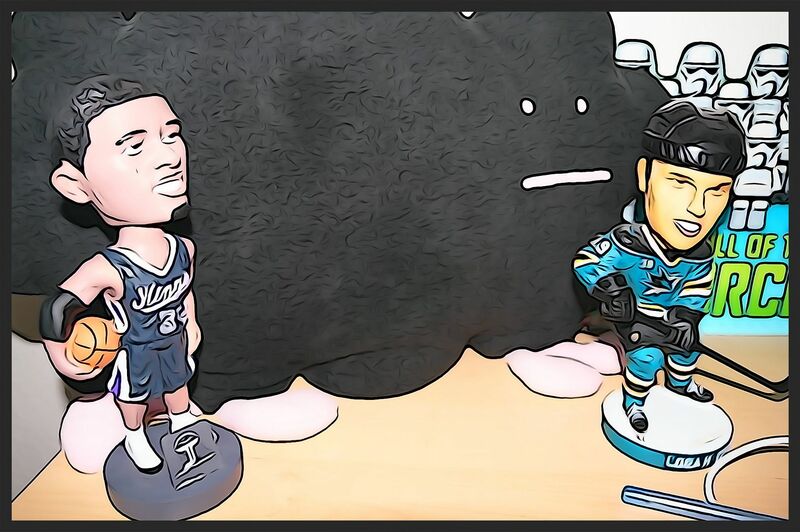 It's just too bad it's not him in a Kings uniform! When you buy into Pinnacle, you're going to find a few hits and a lot of insert cards. My break will give you a good idea of what you'll actually find in a box. If you like inserts and chasing parallels, this might be the set for you! 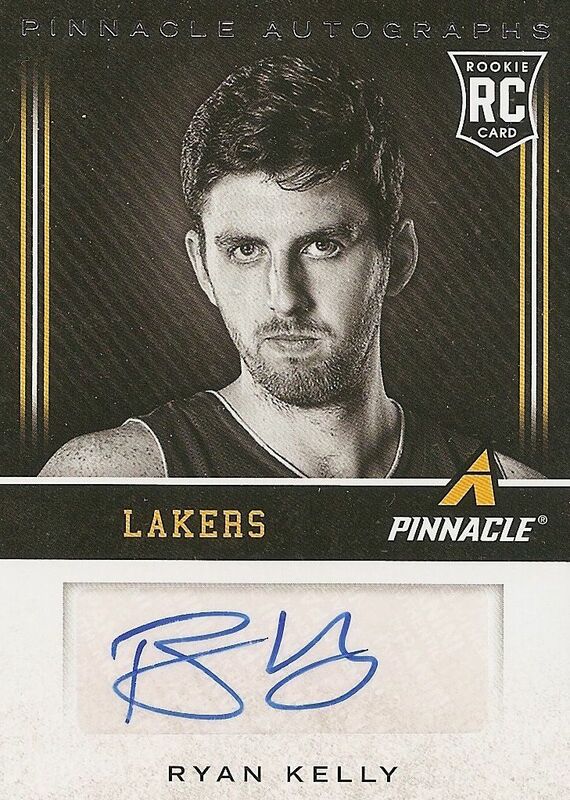 Panini has really tried to put the entire history of Pinnacle into this first ever basketball release. If their intention was to make up time in regards to insert cards... they nailed it. Boxes of Pinnacle will give you a huge stack of inserts and parallels. If you're a Pinnacle fan, and have been for a very long time, and you love basketball... then this set is your dream set! I'm not sure how many people out there meet all those criteria though. 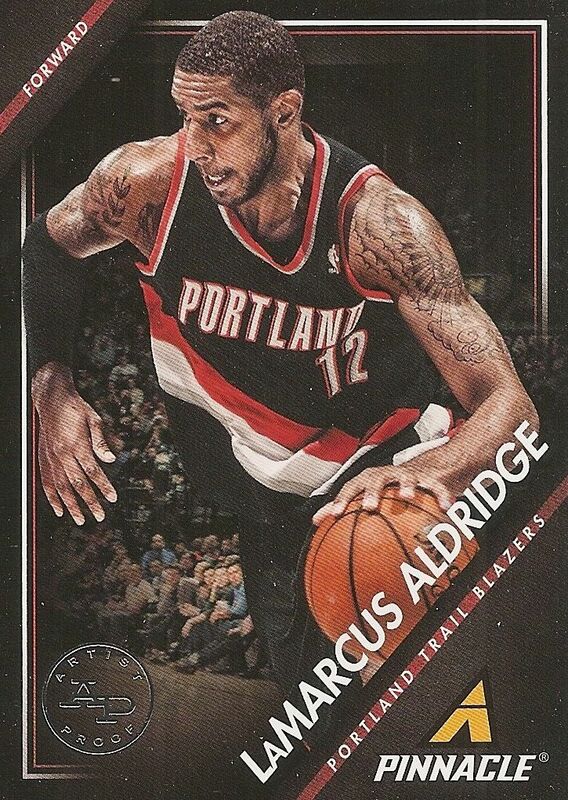 For most collectors, Pinnacle will be seen as a lower-end set that has cards that may be familiar. Pinnacle is a fun break to be sure, but not one to really invest in. I would suggest Pinnacle be a card break for younger collectors on a budget. You really do get a lot of bang for your buck in terms of content and cards. Hits... not so much. Just know what to expect when you get a box of Pinnacle. And enjoy it for what it is! The clear visions are really nice lookin and so are the autos! It's an interesting format for the Pinnacle product. 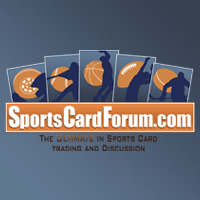 The clear vision cards look extremely good and i like the fact that the base cards look to be on thicker stock. the base cards look like the base from Pinnacle Baseball 2013. Nice breAK! Not a fan of these Fat Pack style packs... seems like a lazy and cheap way to sell cards. Cheap look and feel to them. Liking the on card plastic auto though. + The Big Bang and Clear Vision cards are really cool looking. - The jumbo configuration. I prefer to open normal sized packs, so you can focus on every card in every pack instead of just slide through them. 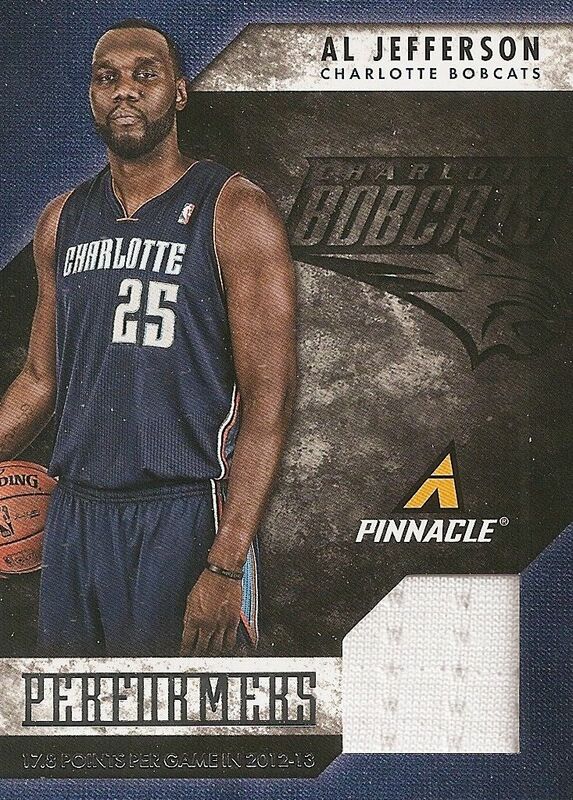 Panini Pinnacle is great for base set and parallels collector. I like the design and Pinnacle autos looks good. At least these packs aren't as ridiculous as Score was last year, but they are still way too thick. 30 packs of 10 would go over much better. Really wish pinnacle was still a hockey product ph well thought right? Pretty nice what u get for that kind of price! That first jersey looks REALLY similar to GOLD STANDARD jerseys only on pinnacle theyre bigger! But there looking really good! I think this set is way better than elite!